Nest, the company known for their smartphone-controllable thermostat, announced a roster of new updates and products this Wednesday. 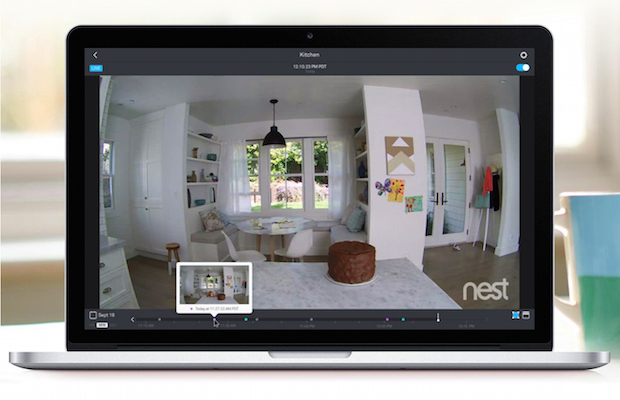 The list featured a second-generation Nest Protect, an updated mobile app, and the brand new Nest Cam. The Nest Protect is a home smoke detector that syncs with your smartphone. The second-generation Protect features upgraded detection technology, using a split spectrum sensor to identify fires that emit different wavelengths of light. A new “stainless steel screen with tiny hexagonal holes” will help prevent false detection. But in the case that a false positive does occur, the updates also offer a new feature that allows you to silence alerts through your Nest app. It’s no secret that Nest is well on its way to revamping our homes altogether. Phones don’t need to be the only “smart” appliance around.